Whether you've recently left a corporate job to set out on your own or have been working solo for as long as you can remember, being a business owner can get a little lonely. Even if you have a brick and mortar shop or designated studio space, it's easy to feel a little starved for human interaction and — let's face it — advice. Coworking can be a great middle ground between renting a space of your own and taking over the dining room table, with plenty of options out there for makers like you. Coworking spaces have popped up all over the country to accommodate entrepreneurs who aren't ready for a full shop or studio, but are looking for a place to call their very own... at least part of the time. 1. Human contact. Like we said, human interaction is pretty important, especially if you run your business from your home or online. 2. Fresh air. 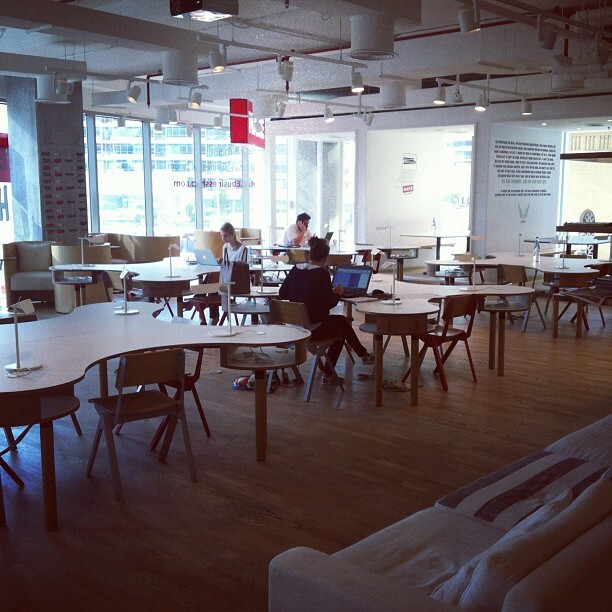 Coworking is a refreshing change of scenery and offers the much-needed excuse to get out of your house. 'Nuff said. 3. Inspiration from kindred spirits. Coworking spaces are chockful of startups and creative people. For Dodd Caldwell, one of the coworking companies at Iron Yard in Greenville, SC, the like-minded workers at the desks around him. "Sometimes that's just tapping someone outside of your team on the shoulder and asking their opinion. Other times, it may be a 15-minute whiteboarding session with a developer on another startup." 4. Partnership opportunities. The opportunities that can come from a collective work environment are endless. In a single space, you might meet a budding web designer, a freelance accountant, a photographer and all sorts of people open to partnerships. It's all about who you know, and coworking spaces can be a conduit for collaboration. Often, coworking spaces are curated or just loosely themed, like PreFab in San Diego, for example. This multi-use space offers desks and workspace for drop-ins, members and makers—their studio hosts a set of bespoke fashion entrepreneurs, space for photo shoots, trunk shows and more. Are you a coworker? What's the best part of your space!